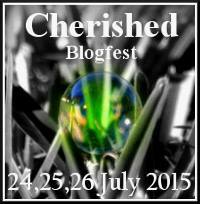 Welcome to the first post of the We Are the World Blogfest #WATWB! You can sign up here. Our special lead co-hosts for this month are Lynn Hallbrooks, Belinda Witzenhausen, Damyanti Biswas, Simon Falk and Sylvia McGrath and they are committed to stories about peace, love and joy. For the We Are The World premier post I would like feature Sunsets for Kate. In some ways it is about a lovely lady who shares her life with Usher syndrome. But, it is about so much more. This is because Kate set up a blog about collecting sunsets and stories. “I was fifteen when diagnosed with Usher syndrome. Already hearing impaired, I was told I would also become visually impaired, and one day, to be exact, by the time I was forty, I would be blind. The good news is, forty has come and gone and I am not blind. Winning! But soon, maybe soon. Wondering what I will regret when I no longer have sight, I realised it will not be the places I have not yet seen, but all the sunsets I will miss. And so I had this idea. Sunsets for Kate. Why not invite people to share sunsets with me and I can see a lifetime of sunsets in the lifetime of my sight. Through reaching out to other people, Kate has received not only many sunsets, but many stories too. Her openness to others has also led her to travel, experiencing people and cultures around the world. “Travel has allowed me to witness the bond that extends with a smile, across cultures, borders, classes and religion. Kate is not letting her challenges stop her, her family and friends from having a full life. You can send your sunset to Kate by following the contact details here. Check out her ‘Chasing Daylight’. And resting in the night. And we behold the setting sun. Want to spread more cheer with other great writers. 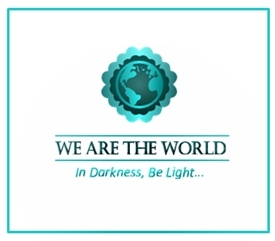 Let us flood social media with peace and love, and “In Darkness, Be Light.” This is the first post for We Are The World Blogfest – 31st March 2017. Kate is so brave. Thank you for sharing this. What an amazing woman Kate is! This is so lovely on so many levels, Simon. Thanks for joining in the WATWB, and here’s hoping this journey we’ve started continues for a long, long time. This is a wonderful story, Simon. I love that Kate is creating something so positive out of her illness. I will absolutely remember to tag her the next time I capture a lovely sunset. Wow. This really hit me in the feels. But what a lovely way to deal with the syndrome… collecting sunsets. I mean, seriously… just wow! Truly inspirational. Let me see if I can’t send a few to her as well. Kate’s story is extraordinary Simon.I don’t know where people get such courage and bravery in the face of such difficulties. An inspiration to us all, thank you for sharing her story with us . Thanks, Susan. Kate is still inspiring. Amazing! Kate is such a motivation to all of us in how we should handle our adversaries. She’s been so creative with her initiative. Who would have thought of collecting sunsets?! I’m speechless! I was speechless too. I’m also astounded by your output for the AtoZ. It’s truly amazing. What a generous effort. Kate is pretty special. I hear that today she has a another blog post on the way. Now I want to go share a sunset with her. Go ahead and share one with her. She is happy to receive photos. Mary, maybe your friend could send some images to Kate. Beautiful poetry and photography, Simon. Thanks for spreading Kate’s story and sharing the love. Lovely poem and Kate is inspiring. I tweeted a sunset for Kate! Thanks for tweeting, Kate. No doubt you have some sunset suitable colours in your palette. Such a beautiful story – thank you for sharing. Kate’s attitude is truly inspiring, and I’ll most certainly be sending her a sunset. And I have no doubt I’ll forever hold her story in my heart now whenever I watch one. Thanks for holding her story, Deborah. You’re not alone in holding her stry in your heart. I went to school with Kate and regret we hardly knew each other then. There were 252 students in our grade 11 group. Inviting people to share sunsets with her so she can see a lifetime of sunsets in the lifetime of her sight. Wow. Thank you for introducing us to this beautiful soul. Thank you for your post and telling us about Kate. I’d never heard of Usher Syndrome before. Her story is truly inspiring. And thank you and the others for starting this blogfest. What a wonderful idea, and so needed now! I joined and posted my first blog on March 31.
interesting story. I’ve never heard of this disease before, but am in awe of Kate who deals with it with grace and hope. She inspires me to pay more attention to what I’m seeing around me. Thanks for the share. Before Kate told her story I was unaware of Usher syndrome too. Pradita, I too share your hope. May Kate, and all of us, see many more risings and settings of the sun. Previous Previous post: What If We Went From Rant To Tran?